It’s estimated that as many as 80% of women will develop a fibroid by age 50. Fibroids are benign tumors, but can cause discomfort for some women. Tina Mehta, DO, FACOG, and Melissa Kushlak, DO, FACOG, at Elite OB/GYN are women’s health experts and can provide treatment if your fibroid is affecting your quality of life. Call the Fort Lauderdale, Florida, practice today or schedule an appointment using the online booking button. A fibroid is a noncancerous tumor that develops in the lining of your uterus. Fibroids are quite common and can vary in size and number. Fibroids most often develop in your 30s and 40s and will shrink on their own once you hit menopause. You may be more likely to develop a fibroid if you have a family history of them or you’re overweight or obese. Your diet choices may also increase your risk of forming a fibroid. People who eat a lot of red meat and ham seem to be more prone to fibroids, while a diet filled with leafy greens may offer some protection against the formation of the tumor. Although not common, fibroids can cause infertility or complications during pregnancy that may result in a cesarean. Your specialist at Elite OB/GYN may discover a fibroid during your annual pelvic exam. But to confirm a diagnosis, you may need an ultrasound, which is a noninvasive test available at the office. The ultrasound can generate images of your internal organs using sound wave technology and determine the location and size of your fibroid, or if you have more than one. Treatment for your fibroid depends on your symptoms. If your fibroid isn’t bothering you, your specialist at Elite OB/GYN may just monitor the fibroid. If your symptoms are mild, you may be able to find relief from over-the-counter pain medication. For heavy bleeding, you may find birth control helpful. For severe symptoms, your specialist at Elite OB/GYN may recommend surgical removal of the fibroid. Myomectomy is the surgical removal of the fibroid only. This procedure is recommended if you plan on having children in the future. If your fibroid is causing severe symptoms and you don’t plan on having any children in the future, your specialist may recommend a hysterectomy. 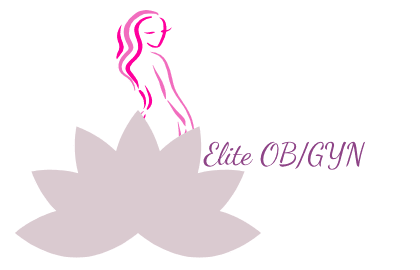 For expert gynecological care from a team of caring women, call Elite OB/GYN or book an appointment online.